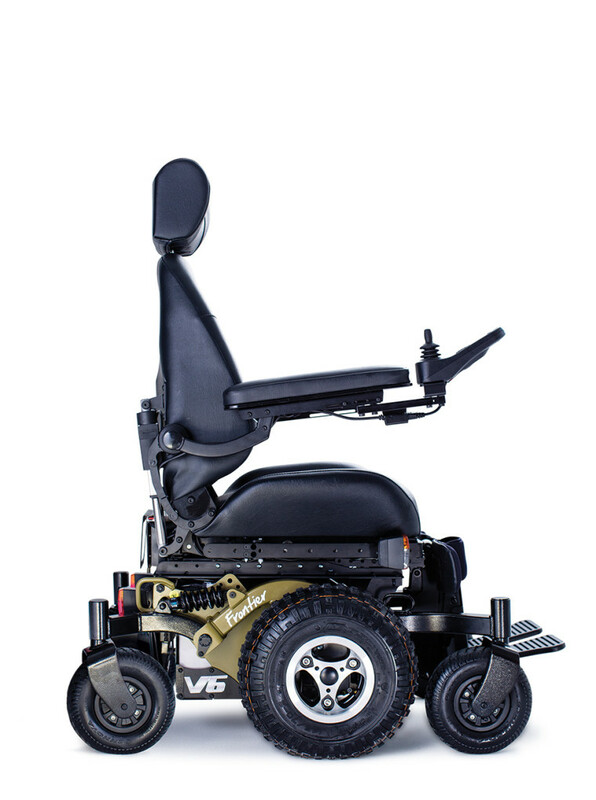 The Magic Mobility Frontier V6 All-Terrain mid-wheel drive electric wheelchair provides tremendous off road and kerb climbing capability. The low pressure tyres provide a smoother ride and give the wheelchair increased climbing ability. This electric wheelchair will impress those who prefer the track to the tarmac. This chair can also be converted to a narrower hybrid model with a simple tyre and wheel change.